The 10 Best Cake Shops in Nebraska! Whether you’re planning a birthday party or wedding, the first thing to come to mind is always cake! In Nebraska, where people love to celebrate each and every special occasion, there are plenty of talented chefs and bakers offering an exquisite array of delicious cake options made fresh to order. 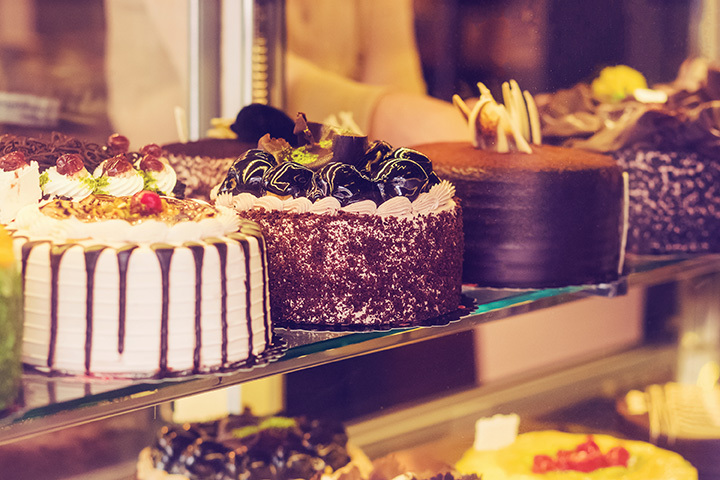 So if you’re on the hunt for a beautiful, delicious cake for your next event, then check out our list of the 10 best cake shops in Nebraska. The Rabbit Hole Bakery is on a mission to bring the freshest and most unique flavors to the Haymarket neighborhood in Lincoln. Step into this sweet wonderland and try one of the specialty cakes in flavors like truffle, lemon raspberry, or salted caramel. Located in the heart of Lincoln, Le Cupcake is a family-owned business that creates strikingly beautiful cakes from original recipes and always from scratch. Stop in for a sweet treat or order a cake for your special day. Le Cupcake will take your vision and make it a reality! Cake Creations in Omaha is a premier bakery run by baker and designer, Tonya, who started selling her cake creations over five years ago. Today, you can order a delicious, gorgeous wedding or birthday cake that is certain to wow your guests. It’s not just cupcakes that you’ll find at this sweet shop in Lincoln. Cupcakes and More also specialized in beautiful, customized cakes for any occasion. Layered with buttercream, these cakes are certain to have your guests raving and begging for more. Smallcakes opened in Kearney in 2015 and has sold hundreds of cakes ever since. Their specialties include custom cakes, cupcakes, and cupcake milkshakes in outstanding flavors such as pink vanilla, chocolate cream, red velvet, and much more. At Butterfly Bakery in Lincoln, there’s no shortage of innovative cake designs that are sure to make any event or occasion one to remember. Using always fresh, made from scratch ingredients, Butterfly Bakery is at your service whipping up delicious cakes in flavors such as white almond, strawberry, marble, chocolate, confetti, and more! Cake Expressions Inc. is a boutique cake shop located in Bellevue that specializes in designing beautiful wedding cakes and even offers cake decorating classes for the aspiring cake designer. With over a dozen cake flavors to choose from, you’re bound to find just the right combination to satisfy any and all taste buds. Cupcake Island claims to be the first cupcake shop in the city of Omaha, baking elegant cupcakes and cakes since 2006. We can’t promise there won’t be any fights over the last slice of a Cupcake Island cake! Tasteful Indulgence is a specialty cake shop located in Seward that was recently featured on Food Network’s “Cake Wars.” Whether you opt for the peanut butter cup smash cake or the dark espresso chocolate cake, each one of Tasteful Indulgence’s cakes will keep you returning again and again. Goldenrod Pastries is a sweet pastry shop in Lincoln that also creates custom cakes for everyday celebrations, including birthdays, baby showers, bridal showers, and more. With specialty ingredients for alternative diets, Goldenrod can create artful, melt-in-your-mouth cakes that also cater to any dietary restriction. View more Nebraska Bakeries and Pastry Shops.